The real beauty of staying at Ashton Cottages is its central setting to many unique and stunning Somerset attractions. We are surrounded by a variety of beautiful villages, family days out and local eateries to complete your holiday experience here at Ashton Cottages. We are situated just one mile from Wedmore village centre and two miles from Cheddar. 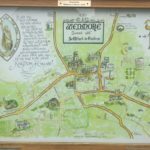 Wedmore is a quaint picturesque village, steeped in history, dating back to King Alfred the Great. The village boasts many small shops offering clothes, shoes, antiques, delicatessens, tearooms and three pubs, all serving good food. Superb walking, riding and cycling can be enjoyed on the Mendip Hills and Somerset Levels, which also offers unique wildlife. The beach at Weston-Super-Mare is a must. Golf, shooting and fishing are all available too. 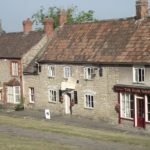 This quaint picturesque village is surrounded by the stunning Somerset levels and has a wealth of history behind it, dating back to King Alfred the Great. Along the high-street there are a number of unique jewellery, clothing, antique and art shops to browse. There are 3 main pubs and other charming tea rooms to relax in before mooching around the next shop! One of the top Somerset attractions. A fun packed day of adventure, education and family fun. 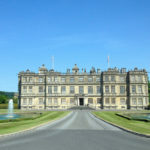 You can enjoy a range of attractions, including their two famous caves to explore, the museum of prehistory and Jacobs look-out tower where you can enjoy the view overlooking cheddar itself, Glastonbury and the Mendip hills. There are a number a wonderful cafe’s, tea rooms and pubs lining the gorge to energize you for the rest of the day. Other activities within cheddar include their crazy golf course, amazing cliff top walks and a range of fun events for the family throughout the year. Take a trip to the famous Wookey caves, find your way through the caves and tunnels and the newly added circus show. This is a full packed day with the family which includes facing King Kong himself, escaping from the Valley of the Dinosaurs and meeting the Witch of Wookey Hole! Sit and relax at the number of lovely cafes within the park. 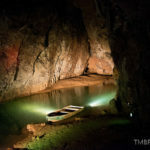 Wookey Hole, Wells, Somerset, BA5 1BA. 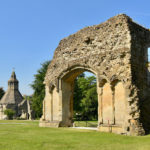 Well known for its connections with the history of Christianity, but also for the legend of king Arthur, who, with his wife Guinevere, is reputedly buried in the Abbey ruins. You can bring your own picnic and relax by the stunning orchards and ponds or stop off at the cafe to enjoy delicious homemade cakes and coffee. Climb the Tor to experience the ruined medieval church and fantastic views. At Chalice Well experience healing waters, beautiful gardens, and relax in peace. One of the top Somerset attractions. 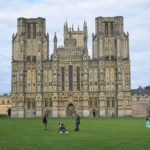 One of England’s smallest city holds many lovely attractions including Wells Cathedral, Market place and the Bishops Palace and gardens, a medieval home to the Bishop of Bath and Wells since 1206. Wells has many shops and restaurants and a regular market in the square. This is a beautiful setting for a relaxing day out sight-seeing and enjoying the historic atmosphere of the numerous scenic gardens. A traditional seaside resort, famous for its nine legged Lighthouse. It is a thriving market town with plenty to do all year round. Brean has its own Somerset attractions with its theme park and waterpark! Weston is the traditional bucket and spade English seaside holiday resort. 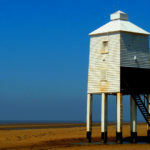 A long sandy beach, with donkey rides, ice creams and Victorian piers. The main grand pier is an indoor attraction that includes go- karts, laser maze and the crazy circus. Enjoy your traditional sea-side fish and chips at their cafe and finish off the day with the Seaquarium along the beach. Another great Somerset attractions. A fun and active day out for everyone. You can learn to ski and snowboard in a safe but enjoyable environment or go crazy on the toboggan slope! Other exciting activities include Frisbee golf, abseiling, assault courses and raft building and many more. 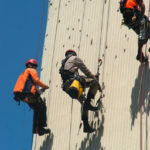 With such a variety of activities, there is something for everyone to experience. Lyncombe Drive, Churchill BS25 5PQ. A short 20 minute drive from Ashton Cottages is the Thatcher cider tours where you can learn about how the ciders are crafted on the farm and have a taste too. 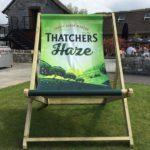 Just opposite is the Railway Inn, a Cider house and kitchen, where you can enjoy a Thatchers cider in the outdoor gardens! Myrtle Farm, Sandford, Somerset BS25 5RA. Explore the iconic 4,500-year-old Stone Circle and the historic story of its existence within the visitor centre. 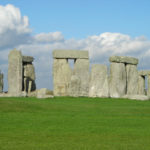 The experience includes visiting a reconstructed Neolithic house, films and displays of history behind Stonehenge and its archaeological treasures. Known as the world heritage spa city, a fabulous place to explore and relax. 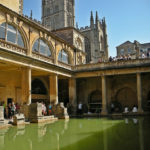 There are a wealth of places to visit within bath such as the Abbey, various shopping areas and the famous Roman Baths. Take the tour through each section of the Roman Baths and the history behind them. Bath is easily accessible through driving or taking the train. 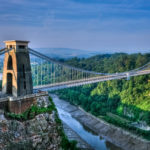 Bristol holds many Somerset attraction, activities for everyone in the family. The @Bristol centre is both education and entertaining and is situated close to the Bristol Aquarium. Brunel’s SS Great Britain, Bristol’s no.1 attraction, is alongside many cafes and restaurants with a beautiful harbour view. 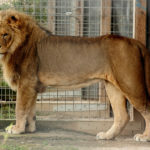 The UK’s No.1 safari park situated within an hour’s drive of Ashton Cottages. Not only can you take the stunning wildlife safari but you can explore Penguin Island, the gorilla colony, the adventure castle and much more! 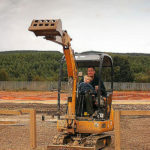 For all ages this day out provides the chance to drive and control real-sized diggers and dumpers. There are other rides to enjoy, all digger related, and the chance to drive the monster diggers and take part in their own formula digger race! This award winning Somerset attraction based just shy of Bristol has a wealth of land and animals to discover. Have fun feeding and holding some of the animals and interacting with their keepers for some entertaining stories! 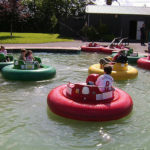 This family fun adventure park is only 1 hour from Ashton Cottages. With over 60 rides and attractions, farm animals and live character appearances this is a fun-packed day for the whole family. 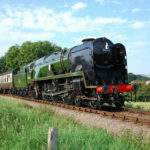 Sidmouth road, Clyst St Mary, Exeter, Devon, EX5 1 DR.
For those stream train enthusiasts, this historic Somerset attraction is a wonderful day out for you. Experience the scenic journey between the stations, including the stunning cliffs and coasts of the Bristol Channel. One of many top Somerset attractions. 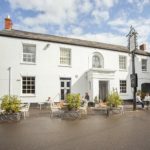 The Railway Station, Minehead, Somerset, TA24, 5BG. The New Inn is a beautiful old inn dating back to 1850 and home to the famous “Turnip Prize”. With a homely pub atmosphere and a British home cooked food menu, it’s a most. You will always receive a warm and friendly welcome on arrival. The New Inn has a cosy dining room and a beer garden to enjoy the good food, and real ales. Dating back to the 1700s, the Swan is a gastro dining experience. Open all day for coffee and cake, a quick drink, lunch or a three course meal. The Swan also has a beautiful garden to relax in and enjoy your food and drink. Wedmore's local Indian restaurant and takeaway. The George was once an ancient coach inn. Today it serves many real ales and wines, sandwiches to evening meals. You can enjoy your drinks in the bar area dating back to the 1500s, or sit in the garden and soak up the sun. 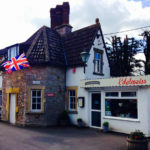 You will find Nanny Ida’s tearoom in Wedmore village, opposite St Mary’s Church. The family run tearoom is open daily and serves full English breakfasts, coffee, cake and a full lunch time menu. Well worth a visit. 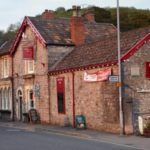 A favourite pub in Cheddar, serving coffee and cake by day and by evening a gastro menu. 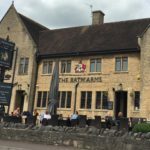 The Bath Arms also has a large patio at the front of the pub, where you can soak up Cheddars atmosphere and enjoy your food and drink. 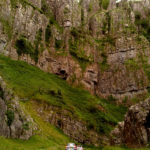 You will find the pub on Bath Street in Cheddar, in walking distance to the Gorge itself. A friendly and informal atmosphere welcomes you to the Riverside Inn. A great menu full of wonderful locally sourced food from comfort food, fresh fish, great steaks, pasta and salads. There’s something for everyone. There is also a varied children’s menu and a great play area, at the rear of the pub. Ideally situated at the bottom of the Cheddar Gorge, just nestled in The Bays, a quite little street just of the main Gorge through road. The menu has a wide variety of food, something for everyone and an elevated rear garden to soak up the atmosphere in the Gorge. 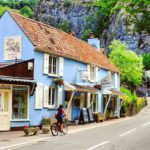 Lion Rock tearooms are nestled in the heart of Cheddar Gorge, Just below the famous Lion Rock. Open all year round and is fully licensed, serving homemade cream teas, coffee and cakes, light lunches to gourmet burgers. A Relaxed and contemporary licensed cafe, with a cosy atmosphere and amazing views of the Lions Rock face and Gorge. Using local West Country produce and homemade foods, you will find the menu full of tasty dishes and also gluten free foods or vegetarian meals. Edelwiess is located at the foot of the Gorge in a picturesque spot. Its menu offers a full choice of home cooked favourites from your traditional English breakfast to an afternoon tea or a three course meal. There is something for all the family or maybe just a cuppa to revive you. 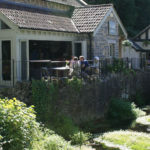 There are many other cafes, tea rooms, and unique restaurants lining the cheddar gorge. 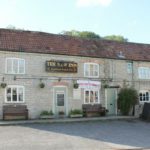 The New Inn: Situated at Cross which is only a 10 minute drive from Ashton Cottages. A family friendly pub with real food and ales. 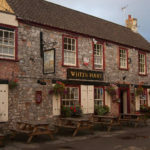 The White Horse: Situated in Mark which is a 12 minute drive from Ashton Cottages. This is a tradition country pub with traditional British food. 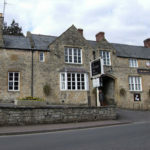 The Rodney Stoke Inn: Situated in Rodney Stoke which is an 11 minute drive from Ashton Cottages. Delicious home cooked food with a spacious garden area. Cheddar Gorge – Paul Lewin; Wookey Hole – Andrew Johnson; Glastonbury Abbey – Nick Amoscato; Burnham on Sea – Les Haines; Weston Super Mare – Ed Webster; Mendip – Jocelyn Kinghorn; Stonehenge – “Javajones”; Bath – “Char”; Bristol – Derek Finch; Longleat – Kathryn Yengel; Digger Land – Martin Burns; Noah’s Ark – “Fryncita”; Crealy – Gavin Stewart; West Somerset Railway – Hugh Llewellyn. All others by Ashley Ribi or provided by venue owners.